SCENIC RIM REGION has spectacular natural beauty, diverse landscapes and abundant wildlife. A vast chain of mountains, incorporating the Great Dividing Range, the Border Range and Tamborine Mountain, which wrap around the fertile valleys. This imposing rim of mountains dates back millions of years to a time when many were active volcanoes. Their legacy, Australia's most accessible World Heritage listed rain forests and fertile alluvial soil, remain the region's lifeblood. It has pristine rain forests and stunning natural beauty, preserved within the region's six National Parks. Come and feast from our delicious smorgasbord of fresh produce,gourmet delicacies and award-winning wines, liqueurs and locally crafted beers. Meet the region's producers, visit the farms and have an authentic, memorable food experience.Immerse yourself in our friendly, welcoming communities and enjoy your time in this vibrant, historically-rich, naturally-beautiful region. The Scenic Rim is an exciting destination for tourism, art, culture,adventure and agriculture. 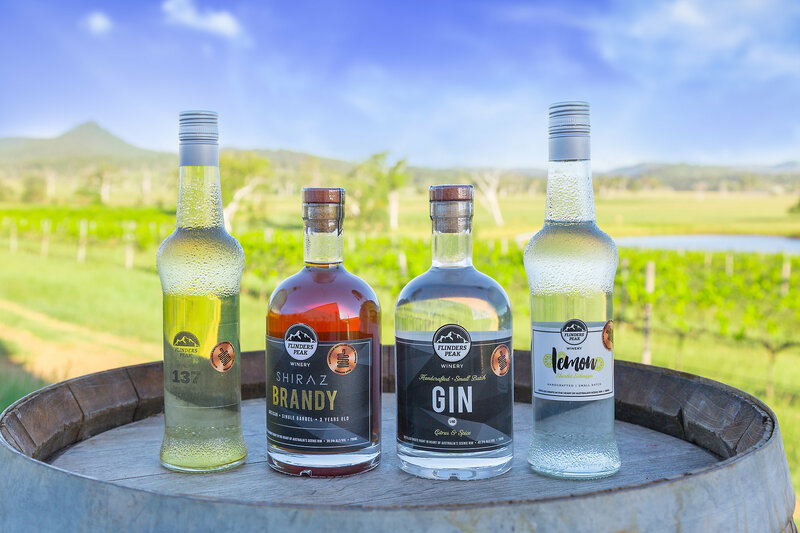 Flinders Peak Winery + Luxury Villas are located within an hours drive of Brisbane, an excellent jumping off point for your Scenic Rim adventure. These 20 - two bedroom, two bathroom, fully appointed villas let you experience all of the luxuries of modern living with good old fashioned country hospitality. Nestled on 87 acres in the foothills in the Flinders Peak Ranges, Flinders Peak Winery can accommodate all holiday types; from large family gatherings to intimate couple weekends. With an upcoming boutique distillery onsite, this is definitely one to tick off the holiday bucket list.